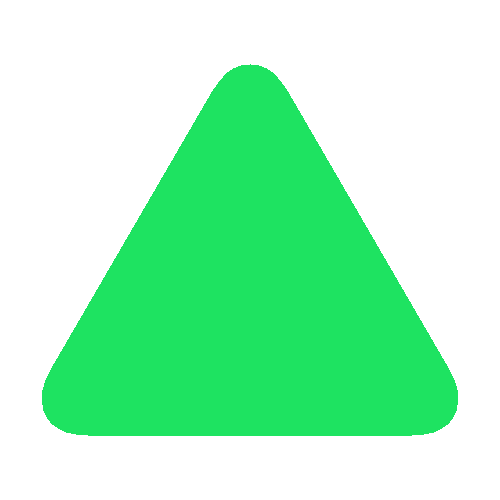 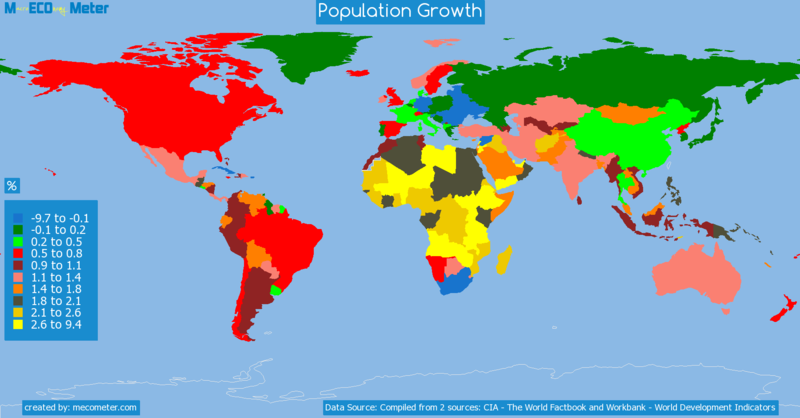 Value & RankThe Population Growth of Nigeria is 2.47 (%) with a global rank of 31. 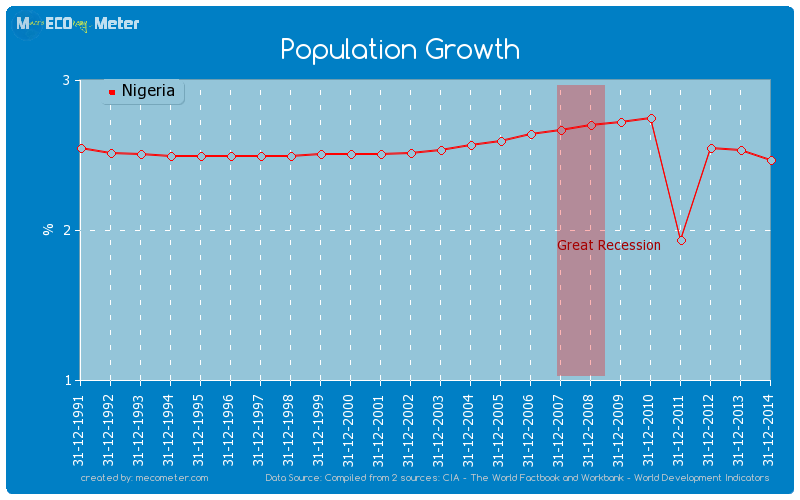 Nigeria compared to other CountriesThe Population Growth of Nigeria is similar to that of Equatorial Guinea, Liberia, Dem. 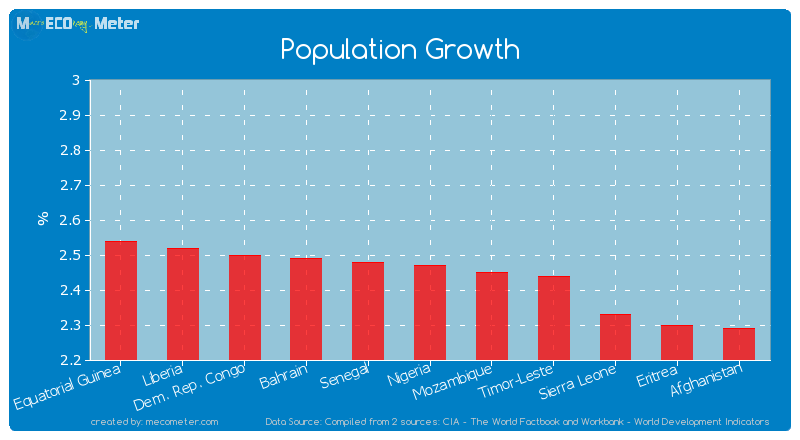 Rep. Congo, Bahrain, Senegal, Mozambique, Timor-Leste, Sierra Leone, Eritrea, Afghanistan with a respective Population Growth of 2.54, 2.52, 2.50, 2.49, 2.48, 2.45, 2.44, 2.33, 2.30, 2.29 (%) and a global rank of 26, 27, 28, 29, 30, 32, 33, 34, 35, 36.